Hempfest is a free live music festival that takes place on URI campus, open to students, faculty, staff, and the general public. 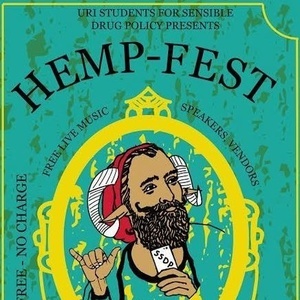 Hosted by the URI chapter of Students for Sensible Drug Policy, the purpose of the vent is to raise awareness about the failures of the War on Drugs and promote more sensible drug policies in Rhode Island and around the world.Featuring regional musical acts and vendors as well as educational speakers, artists, and non-profit organizations. Join us for a day of music, food, and drug policy reform!